Return of the Jedi hit theaters in 1983 and so it would seem that we probably know everything there is to know, and have seen everything there is to see about the film. Wrong. Thanks to photographer Brian Griffen, we have several new Return of the Jedi photographs that haven’t seen the light of day. According to Brian, in 1982 George Lucas built Brian a studio at Elstree Studios in London. The main cast would visit him during breaks or lunch for photo sessions. Thanks to those photo sessions, we have some very nice images that every Star Wars fan will appreciate. 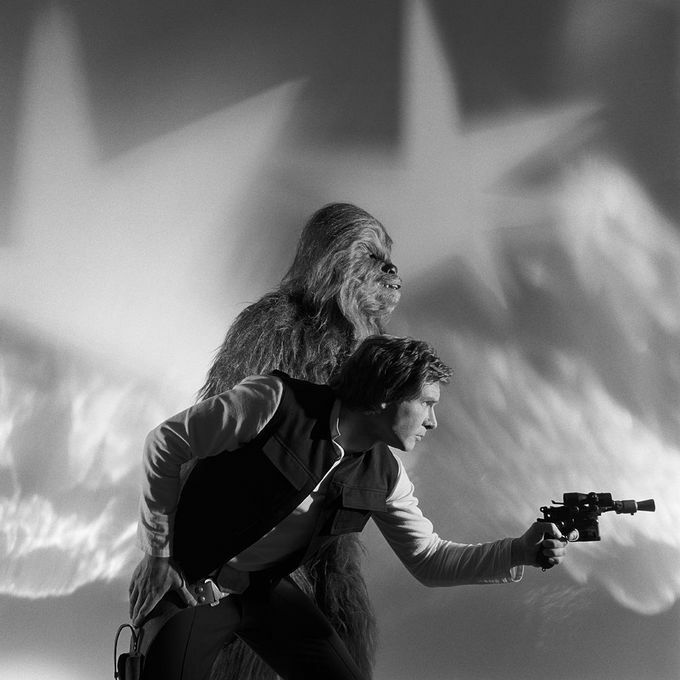 The image below of Han Solo and Chewbacca by Brian Griffen, is just one of nine never before seen photographs from Return of the Jedi. Click the source link at the bottom of the page to look at all nine photographs. Luke Skywalker (Mark Hamill) battles horrible Jabba the Hut and cruel Darth Vader to save his comrades in the Rebel Alliance and triumph over the Galactic Empire. 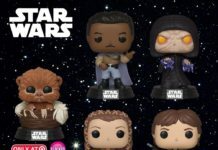 Han Solo (Harrison Ford) and Princess Leia (Carrie Fisher) reaffirm their love and team with Chewbacca, Lando Calrissian (Billy Dee Williams), the Ewoks and the androids C-3PO and R2-D2 to aid in the disruption of the Dark Side and the defeat of the evil emperor.